The holy Al Quran (Ø§Ù„Ù‚Ø±Ø¢Ù†â€Ž al-qur’?n or Qur’an or Koran) is the revelation from Allah to muslim ummah. The Quran kareem is widely regarded as the finest piece of Arabic literature. Quran majeed telawat is of great benefit. Every Muslim should listen and recite Koran. 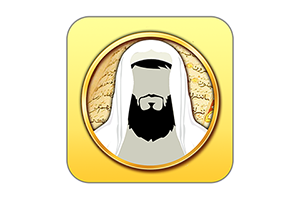 This app is a free Islamic app with Quran audio recitation of famous reciters. It serves as Holy Al-Quran Kareem mp3 player for smart phones. It will ease listening the recitation of the Quran majid with the voice of famous qurra / Quran reciters. Use this free app and share with your family and friends, Jazak Allah. â˜† Audio recitation of from top reciters including Abdul Rehman Al Sudais, Saad Al Ghamdi, Ahmed Saud, Mishary Rashid Alafasy, Qari Abdul Basit, Qari Syed Sadaqat Ali and Sheikh Abbu Bakr Shatri. â˜† Listen Quran online or download for listening offline. Al Quran Karim, Complete Quran audio, Quran, Islam, Islamic, Koran, Qur’an, Muslim, Digital Quran, Mushaf, Quran Majeed, Quran tafsir, Quran tajwid, Quran tajweed, iQuran, my Quran, Quran lite, Surah, complete Quran, bayan, ayat, Quran tilawat.